Savvy Spending: *HOT* Kroger coupon: Save 10% off your purchase, now through 2/24! *HOT* Kroger coupon: Save 10% off your purchase, now through 2/24! Wow!! Here is a RARE Kroger coupon! 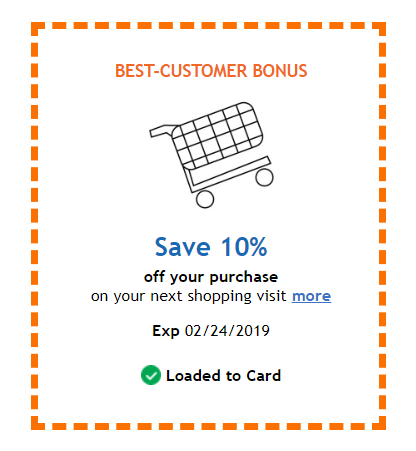 You can save 10% off your next total purchase at Kroger, now through February 24, 2019. You need to click here to find this coupon and "clip" it to your savings card. It is not found in the app. Share this HOT coupon with your friends!! Click the "share" button below!